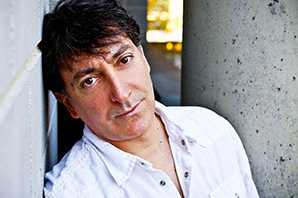 Peter Kelamis also appeared as Adam Brody on SGU:Stargate Universe. Some of his other appearances on TV were in NCIS, Eureka, The Outer Limits, Sliders, Stargate SG1, Dead Like Me, Fringe, and The X-Files. Some film appearances were in Happy Gilmore, Best in Show, and he just completed work in a lead role in the upcoming Arnold Schwarzenegger action/comedy, Why We're Killing Gunther, directed by Taran Killam from Saturday Night Live.